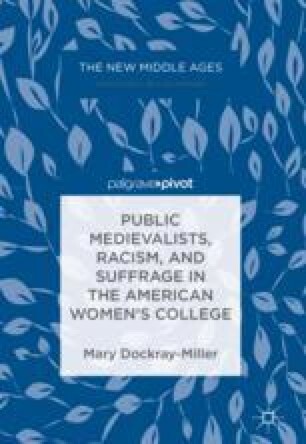 This chapter investigates the ways that three basic types of academically legitimate women’s colleges established themselves at this period: coordinate women’s colleges affiliated with men’s colleges, independently founded women’s colleges, and women’s colleges that developed from previously founded seminaries or academies. In all three types, Anglo-Saxon was an important part of their curriculum as they presented themselves as academic equivalents to the leading men’s colleges of the period. As undergraduate women learned Anglo-Saxon, some of them pursued graduate study and then became English and Anglo-Saxon professors themselves, serving in the first generations of female faculty at US colleges; the study of Anglo-Saxon thus provided women with professional opportunity throughout the growing college and university system.